[S364] Website BassPepper Web Site (http://www.basspepper.co.uk/). [S363] Judith Pepper, "Email from Judith Pepper (9/11/2003) #1," e-mail to Alan Bennett, 9 November 2003. [S37] Website Cheshire BMD (http://cheshirebmd.org.uk/) "CR/47/028." [S37] Website Cheshire BMD (http://cheshirebmd.org.uk/) "CR/52/016." [S37] Website Cheshire BMD (http://cheshirebmd.org.uk/) "CR/60/085." [S49] UK National Census for 1881 Index, UK "RG11/3790 f28 p12." [S47] UK National Census for 1861 for UK, "RG9/2798 f40 p5 27." [S37] Website Cheshire BMD (http://cheshirebmd.org.uk/) "RIX/3/375." [S45] Website FreeBMD (http://freebmd.rootsweb.com/) "Births Mar 1860 BENNETT William Grange Warrington 8c 163." Piece Title: Piece 0028: Warrington Circuit (Wesleyan Methodist): Baptisms and Births, 1837-1870." [S601] UK National Census for 1881 for UK, "RG11/3790 f28a p12 37." [S45] Website FreeBMD (http://freebmd.rootsweb.com/) "Deaths Sep 1907 BENNETT William Grange 48 Garstang 8e 395." [S37] Website Cheshire BMD (http://cheshirebmd.org.uk/) "C25/6/124." [S1088] Website Lancashire OPC (http://www.lan-opc.org.uk) "Marriage: 16 Sep 1858 St Elphin, Warrington, Lancs. [S185] Microfilm Christenings, Bold Street Wesleyan Methodist (Warrington), 1870-1935 "244 7/6/1874 Frederick Stanley s. of John and Hannah Bennett Bewsey Farm, Warrington born 21/4/1874 James R Berry." [S206] Microfilm Christenings, Bewsey Road Wesleyan Methodist (Warrington), 1875-1923 "846 23/9/1877 Leonard s. John & Mary Hannah Bennett Bewsey Hall, Burtonwood born 25/7/1877 Arthur Wilkinson." [S206] Microfilm Christenings, Bewsey Road Wesleyan Methodist (Warrington), 1875-1923 "918 25/8/1880 Florence d. John & Mary Hannah Bennett Bewsey Hall, Warrington born 5/8/1880 Marmaduke Riggall (private baptism in home)." [S72] UK National Census for 1891 for UK, "RG12/3073 f24a p6 27." MARY JANE THEIR B DAU WD APRIL 19th 1888 A 26Y (then a verse). [S757] E-mails from Tony Grange-Bennett to Alan Bennett, 2006 "The original source was an old family documewnt written circa 1914-1919." [S37] Website Cheshire BMD (http://cheshirebmd.org.uk/) "RIX/6/328." [S757] E-mails from Tony Grange-Bennett to Alan Bennett, 2006 "Letters of Administration issued 21 Jun 1909 by District Registrar Liverpool (copy held by A.J.Grange-Bennett)." [S37] Website Cheshire BMD (http://cheshirebmd.org.uk/) "RIX/3/481." [S37] Website Cheshire BMD (http://cheshirebmd.org.uk/) "SAN/5/493." [S70] General Record Office Indexes "Emma BENNETT 74 Runcorn 8a 430 Dec 1941." [S48] Online index to the UK National Census for 1901 for UK "RG13/3584 f23." [S37] Website Cheshire BMD (http://cheshirebmd.org.uk/) "SAN/6/225." 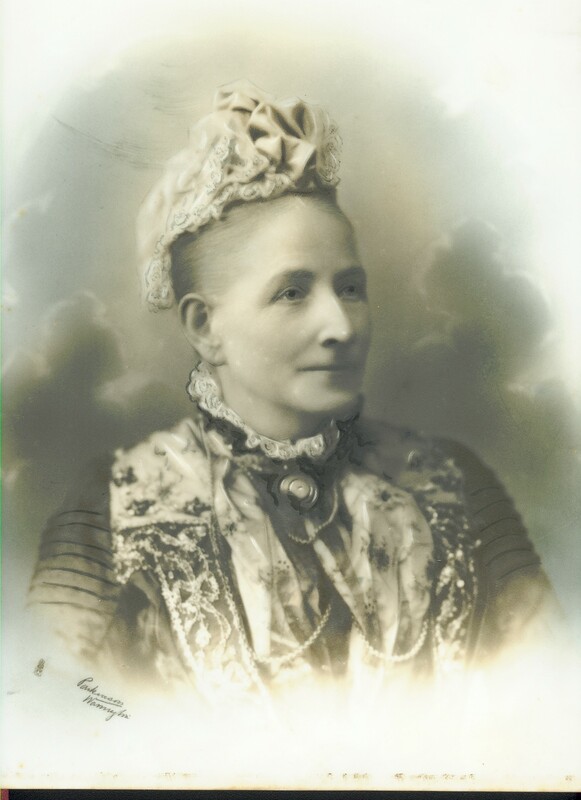 Mother : Mary Hannah Bennett." [S45] Website FreeBMD (http://freebmd.rootsweb.com/) "Marriages Sep 1898 Bennett Joseph Spilsby 7a 1181." [S45] Website FreeBMD (http://freebmd.rootsweb.com/) "Marriages Sep 1898 RIGGALE Emily Charlotte Spilsby 7a 1181." [S335] Baptism, St Elphin, Warrington, May 1900-Jun 1907 "p52/414." [S37] Website Cheshire BMD (http://cheshirebmd.org.uk/) "SAN/6/477." [S7] Unknown editor ed. Hill Cliffe MI "ILMO/JAMES BENNETT J.P./M.R.C.S. L.R.C.P DPH. born January 25th 1872/Entered into rest/June 18th 1943/Also Mary his beloved wife/born October 23rd 1872/ Entered into rest October 22nd 1946." [S48] Online index to the UK National Census for 1901 for UK "RG13/3586 f6." [S37] Website Cheshire BMD (http://cheshirebmd.org.uk/) "A10/1/1." [S704] UK National Census for 1901 for UK, "RG13/3586 f6 p3 14." [S2260] UK National Census for 1911 for UK, "RG14PN23181 RG78PN1354 RD459 SD5 ED1 SN21." [S37] Website Cheshire BMD (http://cheshirebmd.org.uk/) "SAN/7/229." [S37] Website Cheshire BMD (http://cheshirebmd.org.uk/) "SAN/8/96." [S37] Website Cheshire BMD (http://cheshirebmd.org.uk/) "A10/1/34." [S37] Website Cheshire BMD (http://cheshirebmd.org.uk/) "SAN/8/410." [S37] Website Cheshire BMD (http://cheshirebmd.org.uk/) "A10/1/23."